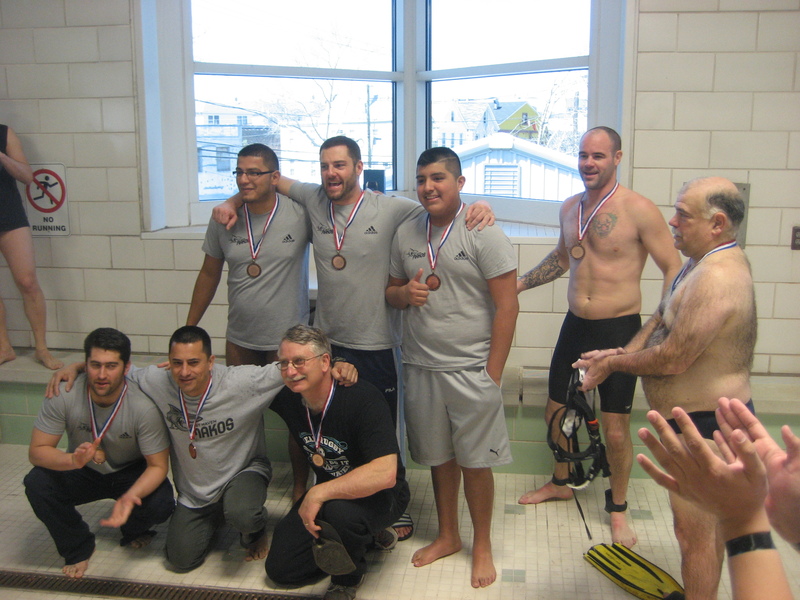 Hosted by Newark Underwater Recreation and thanks to the City of Newark, the first ever Underwater Rugby tournament in Newark, New Jersey was a complete success. The two day tournament had the participation of teams from the US and Canada, and UW Rugby players from as far as Seattle, Toronto, Montreal, South Carolina and Norway. Five teams played a round robin during Saturday and final games on Sunday. 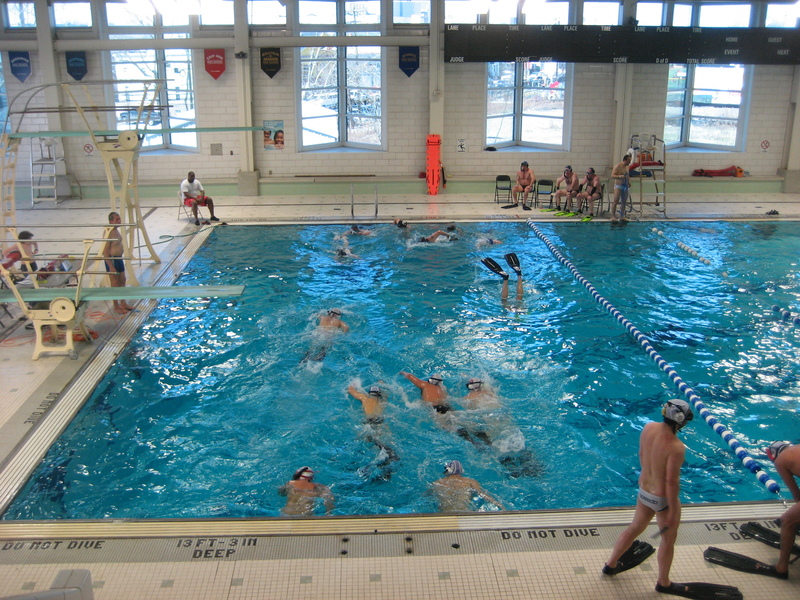 The host club participated with two teams Newark Hammerheads A, and Newark Hammerheads B, The East Haven Makos from Connecticut, Club CAMO from Montreal and for the first time the Women’s Team USA. The Host club teams Hammerheads A and B played the inaugural game with a clear victory of team Hammerheads A 10-0. The round robin ended on saturday evening with The Newark Hammerheads A undefeated with 12 points, followed by Club Camo from Montreal, Hammerheads B in third place, the East Haven Makos in fourth and the final spot for the Women’s team USA on their first tournament as a team. Sunday pool time served as the third and final round for the Men’s team USA and the first official practice for the women’s team. Right after this, the final games of the tournament were played. The game of third place was between the local Hammerheads B and the East Haven Makos. The Hammerheads B who played a very strong game the day before during the group round, defeating the Makos by 7-6, lost the final game 3-6 giving the third place to the East Haven Makos. The final game was between Hammerheads A and Club Camo. As great rivals the game was very close and strong 0-0 during all the first half and most of the second half until about the 8th of 9th minute when the Hammerheads took advantage of a few mistakes that turned into a very quick 3-0 lead and final win for the Hammerheads A. 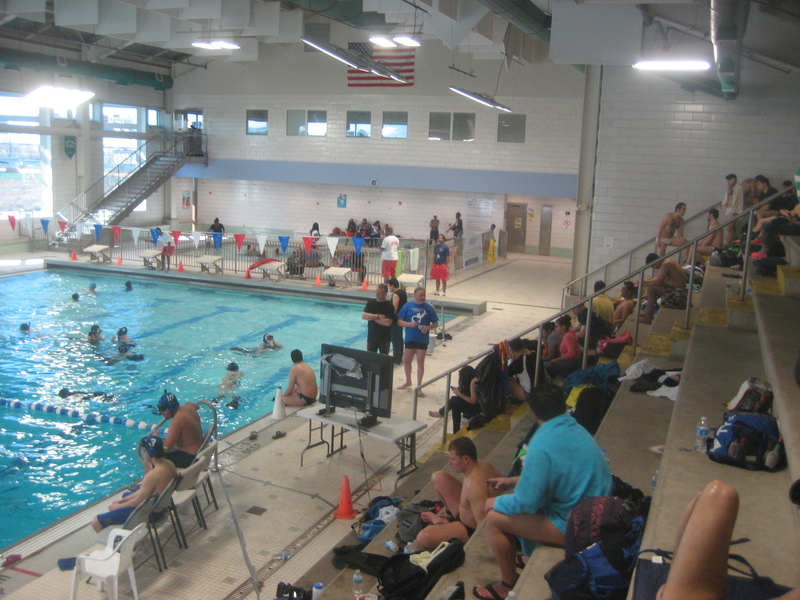 The Newark tournament showcased several milestones for underwater Rugby in the US. The first Underwater Rugby tournament in the NY/NJ area, first UW rugby tournament to have electronic referee signal system , cameras, large screen and livestream. 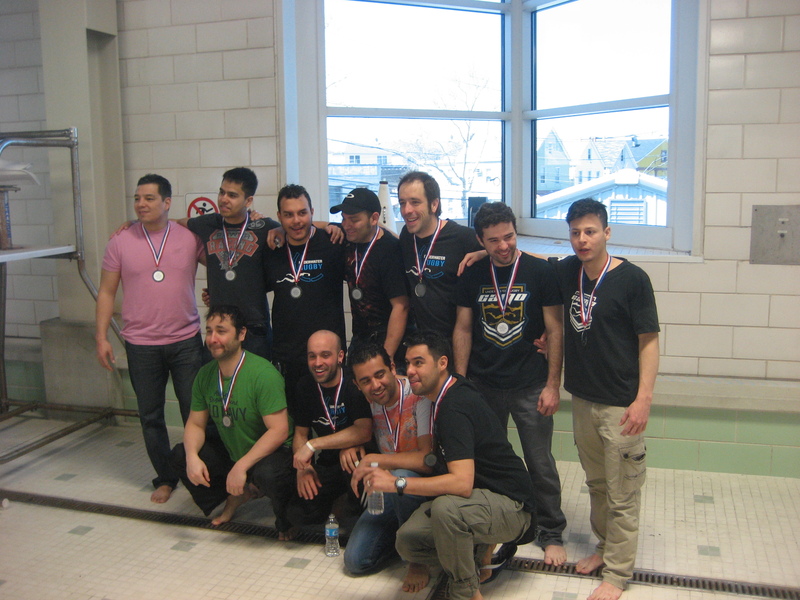 The Newark Hammerheads will defend their title on the 10th North American Underwater Rugby Tournament – Montreal 2015 on May 30th-31st.